The imaginative costume designs of Miles White are spotlighted in this circus-themed show. Pieces of circus history move from the Tibbals Circus Collection to the museum of art at The Ringling with A Kaleidoscope of Color: The Costume Designs of Miles White, opening April 22 to run through Aug. 5 in the Searing Wing. White, who was only 27 when brought into the circus by industrial designer Norman Bel Geddes, added color and imagination to the costumes of the Ringling Bros. and Barnum & Bailey Circus, starting in the Depression-era 1930s, when the show needed to be invigorated, facing lagging ticket sales. 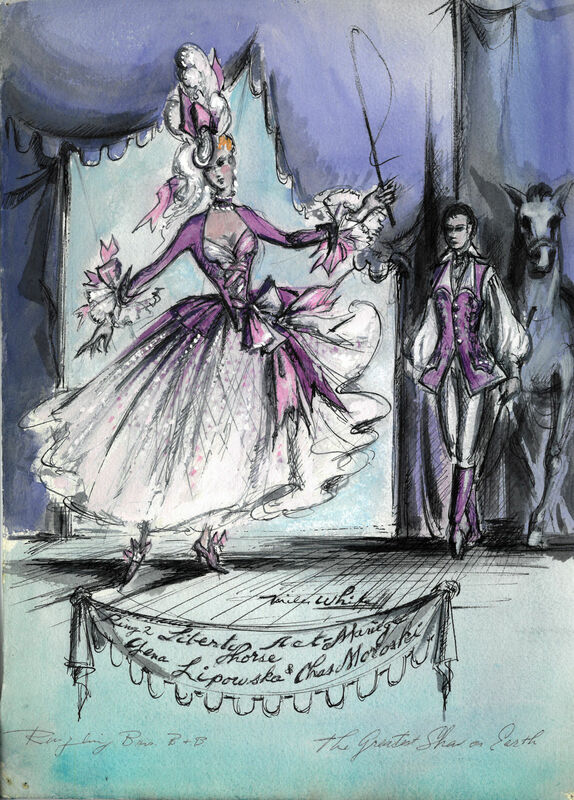 White pursued his circus costume designs into the 1950s, even as he also created designs for costumes for Broadway shows like Oklahoma! and Carousel in the 1940s. 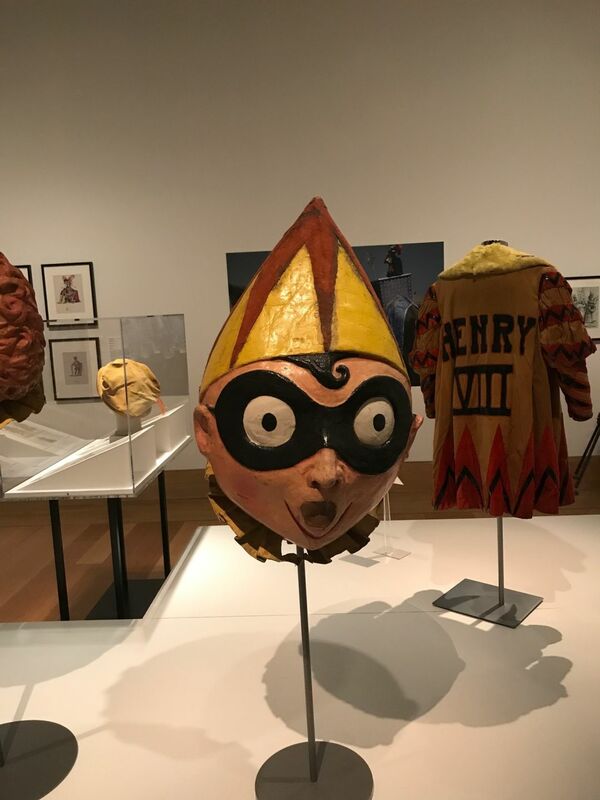 “He decided the circus was a magical place,” said Jennifer Lemmer Posey, associate curator of the circus museum at The Ringling, during a media preview. 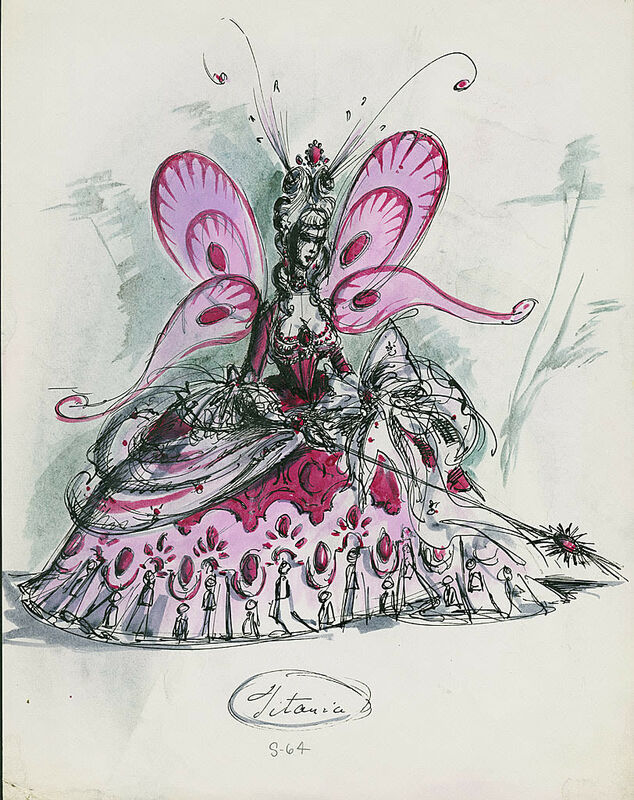 “So he transformed women into chandeliers, or men into rocking horse solders, or elephants into railroad train cars.” Or, in the case of one of White’s favorite performers, aerialist Pinito Del Oro, she became a butterfly. The exhibit at The Ringling presents a selection of watercolors, sketches, historic photographs, swatchbooks and even a few of the actual wardrobe pieces, as in the case of a “Rainbow Round the World” clown costume, or a coat worn by the performer depicting King Henry VIII. Viewers will also see the “big heads” of clown Pierrot and his Pierette. Often these items were worn as part of the “spec”—the spectacular pageant or entry of performers that preceded the actual circus performance. “The circus offered White the opportunity to let his imagination run free,” is the way Lemmer Posey describes his creations over the 12 years he spent with the circus company. “And there are still some performers alive here who wore his costumes,” which were designed to let them move as they needed to in their highly physical acts. 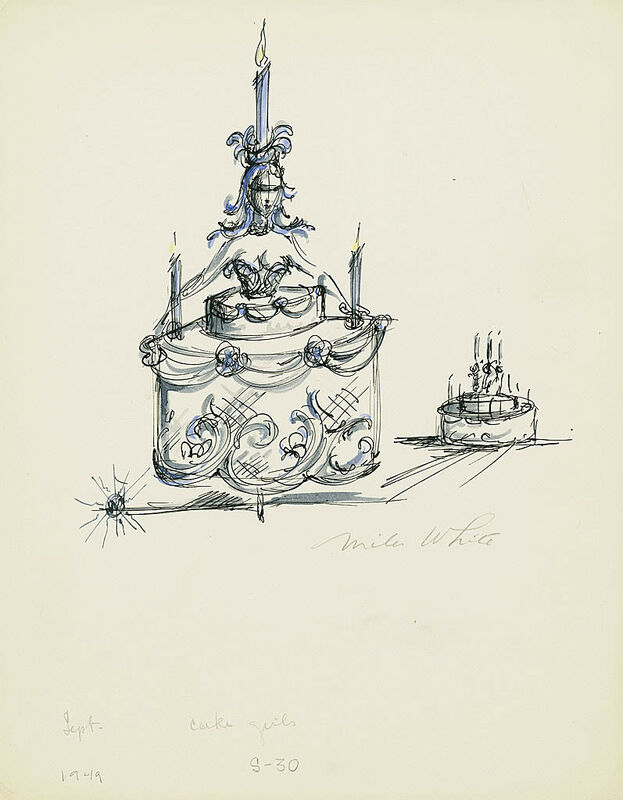 There are hundreds of White drawings in the Tibbals Collection; this show provides a small, tantalizing taste of the designer’s talents. For more information, visit ringling.org.